*I was in a rush and grabbed the Texas Toast Garlic long bread @ $1.99 by mistake - it's not included in the gas promo so you don't want to buy that one. NY Texas Garlic Toast, Garlic Bread Stick or Knots @ $2 are included. 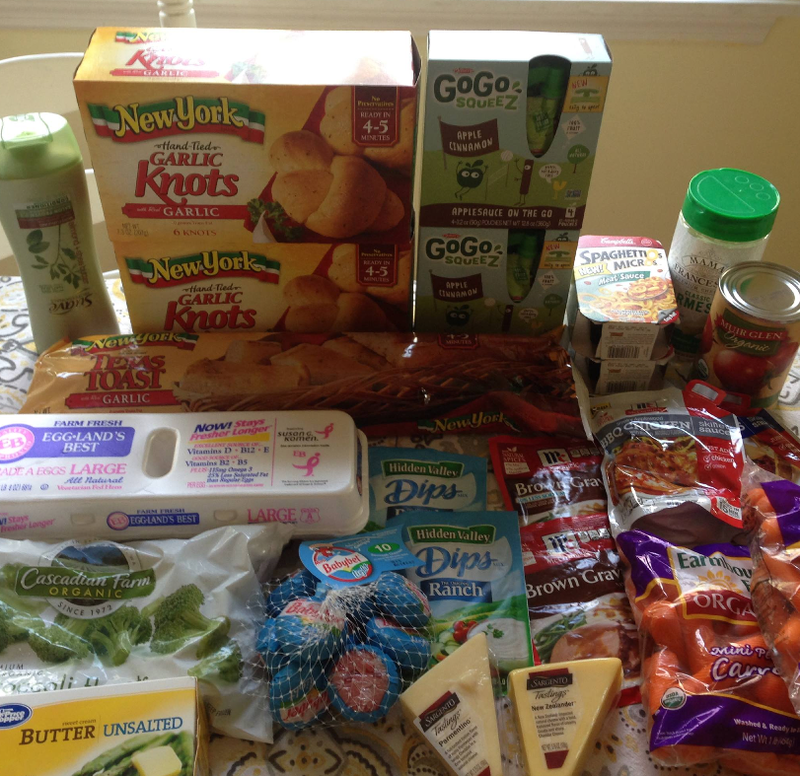 = $23.72 for all, saved $52.14! I'm going to have to break out my laptop and print 2 more copies of a few coupons - there are some great deals this week! You can check out the weekly matchups HERE & the Current Unadvertised & Multi Week Deals HERE. Submit your shopping trip to enter to win a $20 PC gift card!